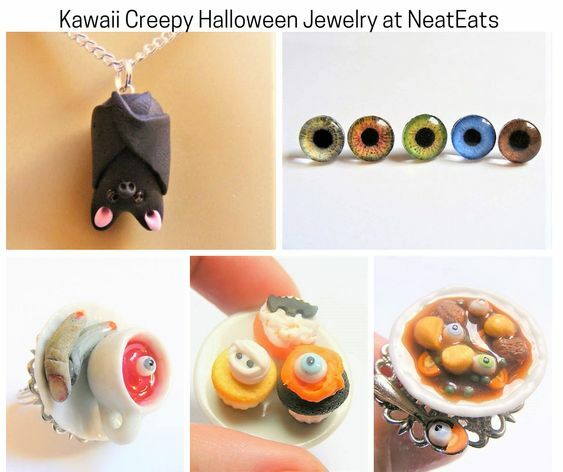 Kawaii Jewelry is very adorable at Neat Eats, but this frightful Halloween, NeatEats has created some gruesome and chilling jewelry. Take a look! 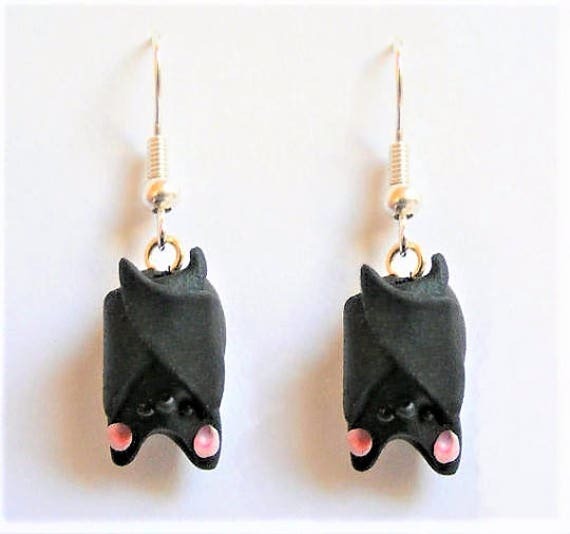 Little silver plated earrings (or you can have the option to buy with 925 sterling silver earring hooks, just choose from the drop down menu on the right) with two tiny upside-down bats hanging from them.. 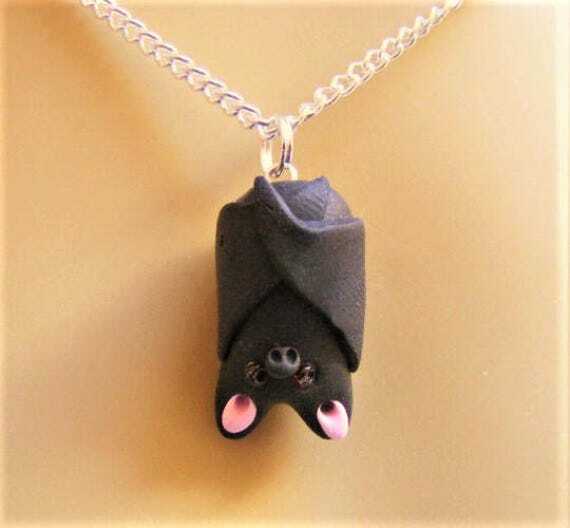 The little bats are perfect in detail with tiny folded wings, little pink ears and red glass eyes. Perfect for added cuteness at Halloween! Real china plate sits on a beautiful orange doily. The ring is adjustable antique bronze colored filigree. On the plate are three handmade Halloween inspired cupcakes. 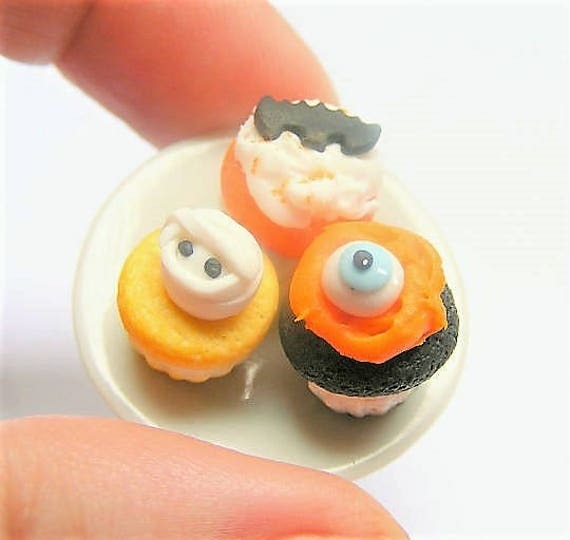 The first is an orange based one and has a delicious white butter cream topping with a tiny bat, the second has a black cupcake decorated with orange butter cream and a little eyeball, and the third is a vanilla cupcake with a tiny mummys head complete with bandages and two little eyes peeking out! 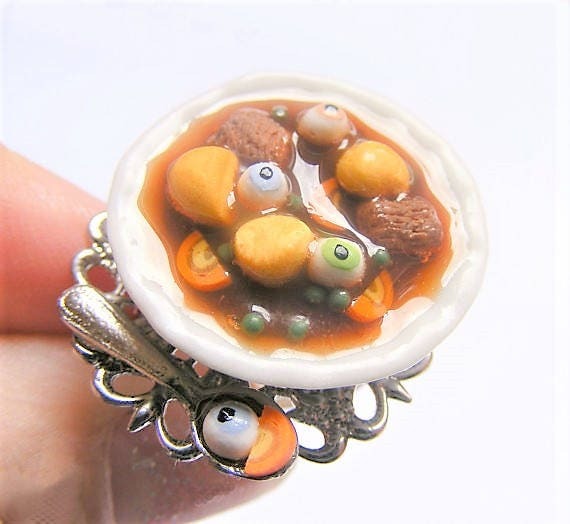 One of my most detailed pieces which is such a cute ring and perfect for Halloween or any time of the year! Silver plated, lead and nickel free, filigree adjustable ring on which is a delicious steaming bowl of stew, until you look closer……….the stew has potatoes, carrots, peas, veg and eyeballs in it!! Perfect for any spooky event or just to show your love of all things ghastly! There is also a tiny spoon resting on the side which holds a slice of carrot and another eyeball. The little plate measures only 25mm in diameter. Delicious, maybe!! Filigree adjustable ring on which sits a real little china cup and plate. In the cup is a little brew of ‘blood’ tea with a tiny eyeball floating on top! This is accompanied by a couple of ‘finger’ biscuits, just a perfect mid afternoon pick-me-up. 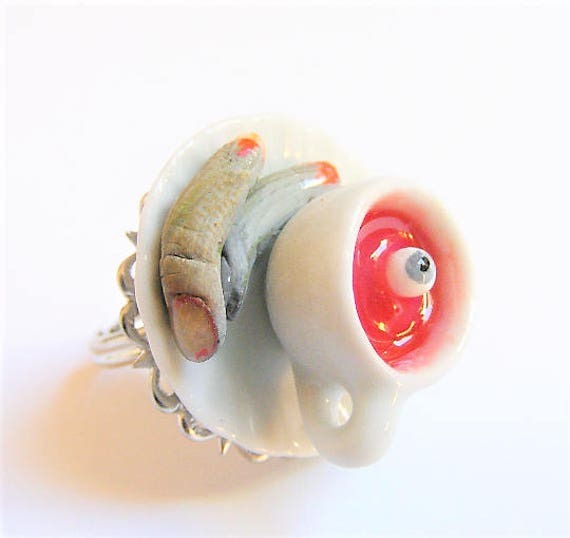 This ring is ideal for any spooky event or just to show your love of all things ghastly! Delicious!! 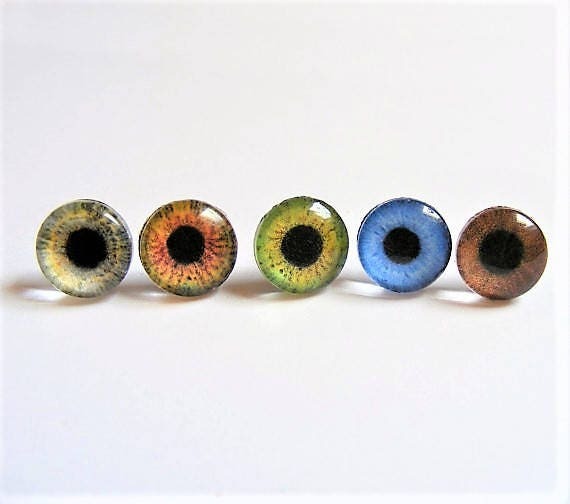 Little stud earrings with a couple of little glass human eyes on them. They measure 10mm in diameter. Very unusual but also very pretty. Please choose the color you prefer from the drop down menu on the right. The color choices are, (from the left in the first picture), gray,hazel,green,blue,brown and grey blue. The listing is for one pair only.